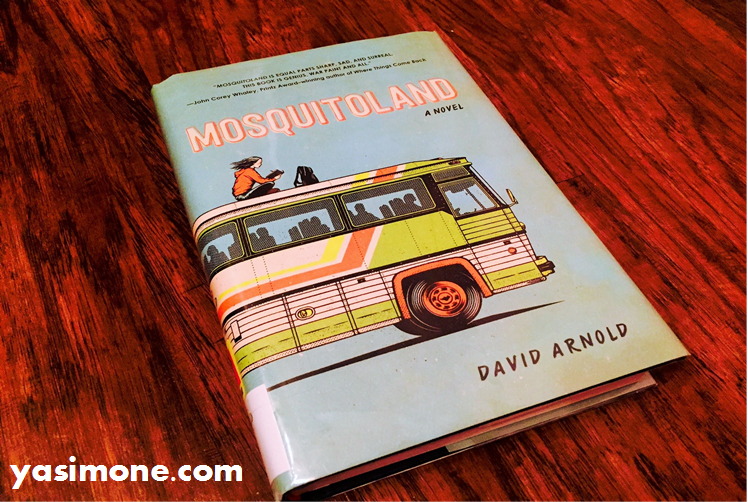 Mary Iris Malone—or Mim—is living in Mosquitoland. (Also known as the lovely state of Mississippi.) She’s going through a difficult adjustment period, living with her recently-married dad and stepmother Kathy, while her mum, Eve, is back in Ohio where Mim believes she belongs. And did I mention how pretty the cover is? Look at that gorgeous book! When her dad and Kathy are at a principal conference discussing her erratic behaviour, she happens to over hear a little something—a little something about her poor, dear mother in Cleveland battling a disease. That’s it. That’s her breaking point. She runs to her house-not-home, grabs Kathy’s “secret” coffee can of cash, and catches a Greyhound, vowing to not turn back until she reaches her mother. And so begins the journey of a lifetime. As she makes her way from Mississippi back to Ohio, she encounters so many different people: a lovely, elderly lady who she immediately befriends, a dashing young lad with whom she teams up with, a Carl, who is just as good as any Carl she’s ever met (maybe even better), and a homeless teen with Down Syndrome who she takes under her wings, to name a few. And when this winding journey is finally over, nothing is as expected, but everything is just right. Wow. Where do I even start?